I’m willing to bet that very few people travel to Kissimmee, Florida to check out the roadside attractions. They travel to the area to go to the Disney parks and other theme parks. And I know, to a child, and some adults, the Florida Orange World holds little appeal next to the world famous Mickey Mouse. But if you tire of the theme parks and museums and need a morning or afternoon to rest up, these Kissimmee roadside attractions will provide just the break you need. I discovered several years ago that roadside attractions are a great way to break up a long car ride. Not only are they an inexpensive way to enjoy some family fun, they are also nostalgic and may teach you a thing or two about the area, our country, or notable Americans. On the other hand, they may just be pure fun and a great photo op. My family has been to Florida numerous times and while the theme parks are great, we’re not the type of family that feels the need to experience Disney over and over again. So when I sat down to plan a return trip to the Kissimmee area I dedicated a morning to road tripping to some Kissimmee roadside attractions. Unfortunately, I couldn’t convince my husband to stop at all of them, for which my teenagers are forever grateful. But we did manage to see enough roadside attractions in the Kissimmee area that I felt accomplished. This is one stop that is fun for the entire family and was enjoyed by everyone, from my mother-in-law to my teenagers. We stopped by this roadside stand to pick some fresh Florida oranges without realizing that the place was brimming with fun photo ops in addition to the world’s largest monster truck safari, which is considered a roadside attraction. How cool is that? I couldn’t convince my husband that we NEEDED to do the safari ride so I’m hoping we can fit that in on a return trip. My teenagers took advantage of the photo ops at the Showcase of Citrus with little prompting on my part and loved picking oranges. The Showcase of Citrus is located at 5010 US Highway 27, Clermont. After we picked our oranges, we drove to Florida Orange World, probably the most iconic roadside attraction in Florida, just to check it out. 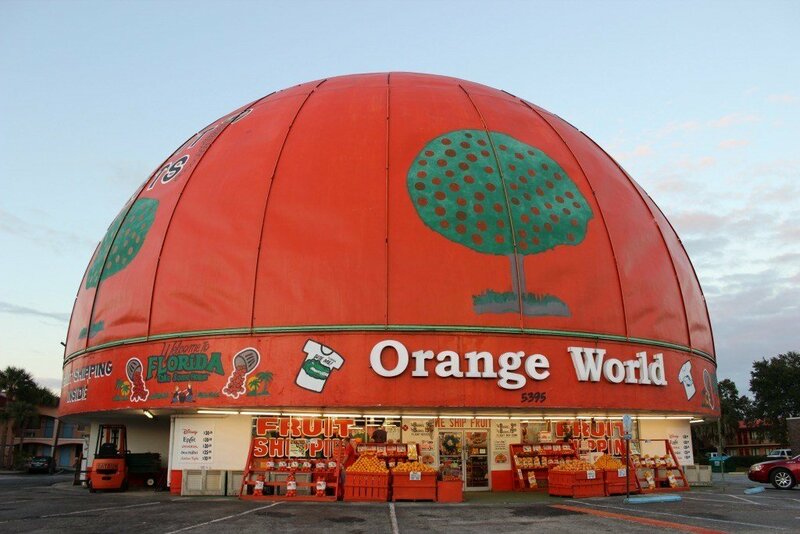 Not only can you buy oranges, but this orange-shaped store holds the title of the world’s largest orange and is packed with fun orange and Florida inspired souvenirs. Florida Orange World is located at 5395 W. Irlo Bronson Memorial Hwy, Kissimmee. By this time in the day we were getting hungry and we all know that hungry traveler’s equal grumpy travelers. 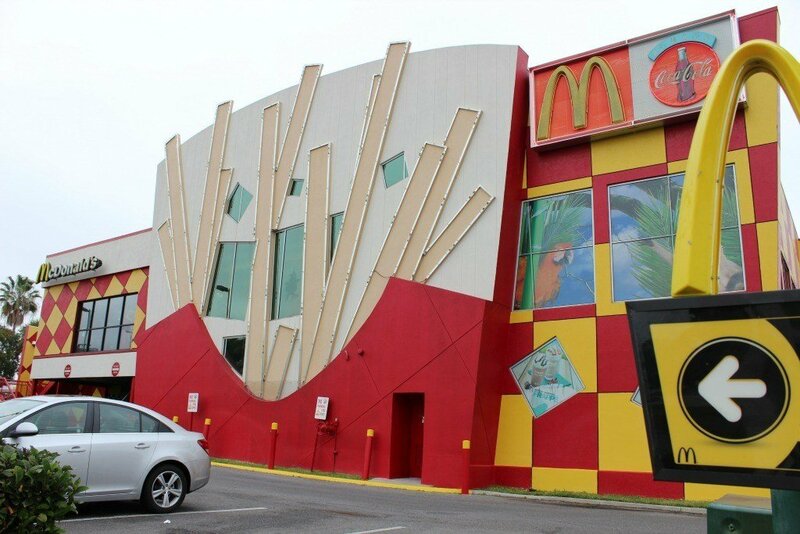 We sped towards our next destination, the World’s Largest Entertainment McDonald’s and PlayPlace in Orlando to grab a bite to eat. I was really surprised by how much fun my teenagers had playing in the arcade at this McDonald’s. In addition to normal menu items like Big Macs and French Fries, you’ll also find a Bistro menu and Ice Cream Bar with Blue Bunny Ice Cream. Hungry for McDonald’s? I’m normally not, but for this I’ll make an exception. You’ll find this McDonald’s at 6875 Sand Lake Road, Orlando. After my family was fed, we jumped back in the van and continued on to catch a glimpse of the Giant Cross at First Baptist Church, also in Orlando. 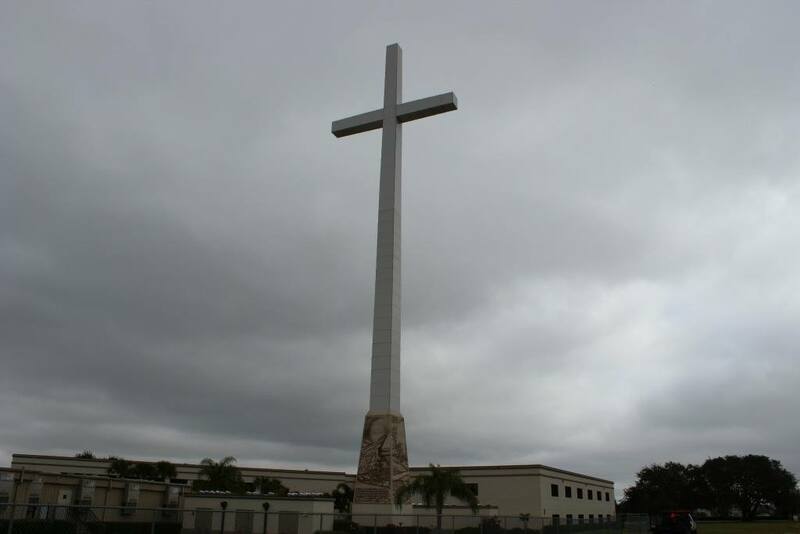 The 199- foot tall cross can be viewed from the highway, but to see the bible scenes and read the scripture that adorns the four sides of the base, you’ll have to travel to 700 Good Homes Road and hop out of your vehicle for a closer look. My family was losing steam and had tolerated all the roadside attractions they could. I knew it was time for a break so my husband and I agreed to one final stop before calling our roadside attraction hunt over. We may have saved the best for last. As we passed through Kissimmee on our way back to our vacation rental, we caught a glimpse of the Monument of the States. This popular attraction which reminds me of a totem pole was a fun stop. Erected in 1943, this roadside attraction was built to symbolize the unity of the United States after the attack on Pearl Harbor in 1942. Today you’ll find rocks from every state as well as some foreign countries embedded in the monument. We made sure we found the rocks for our home state before heading back to our vacation rental. 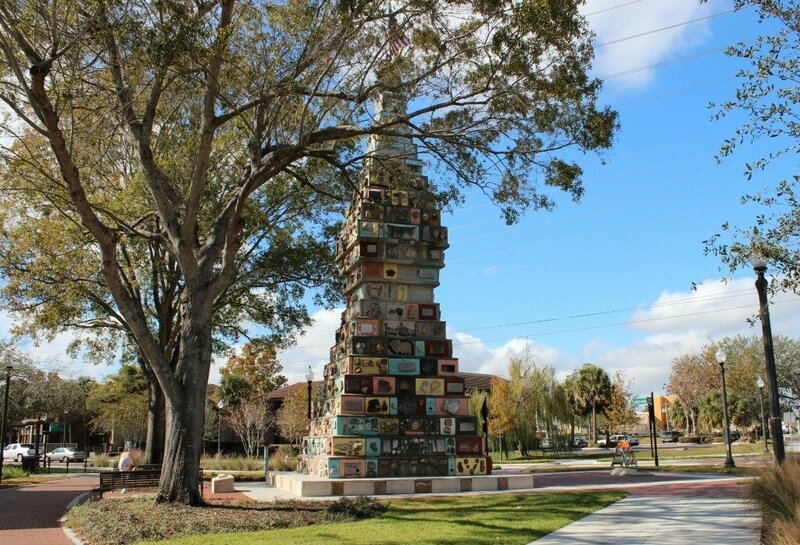 You’ll find the Monument of the States at 300 East Monument Avenue, Kissimmee. Are you planning a trip to Orlando and the Kissimmee area? Save BIG on Orlando Travel Deals with this link. Do you love roadside attractions? Have you visited others in the Kissimmee area? Please leave a comment telling us what your favorite roadside attraction is so others can stop by and visit it on their next road trip. OMG. I stayed in Orlando for about 3 weeks and didn’t see any of these! WE stuck to the popular tourist attractions. Gotta go back! I was curious to see if I had seen any of these before and I had! I went to that McDonald’s when I was in Orlando in 2000! I’d love to visit the Orange World too, that looks brilliant!! 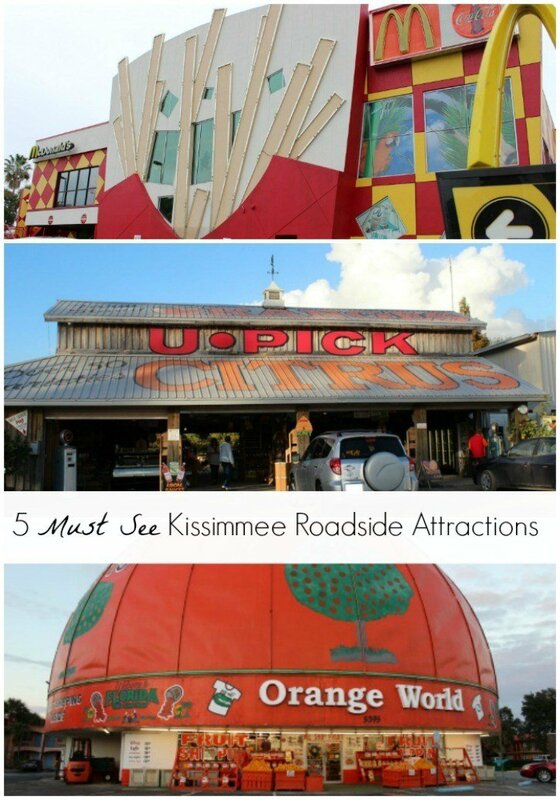 I love all the citrus-related things to do in Kissimmee! 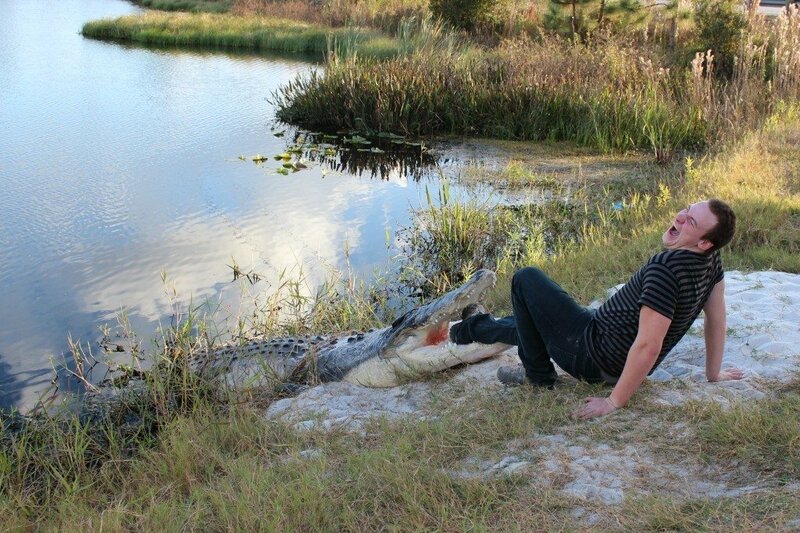 That photo opp of the gator coming out of the water looks so realistic. I think I could have a lot of fun visiting the Showcase of Citrus. My adult daughters also stopped at Showcase of Citrus while visiting the Orlando/Kissimmee area. They were looking for inexpensive things to do and didn’t want to take on the Disney theme parks. They also enjoyed Ormond Beach…only about an hour’s drive away, and they did check out the “Downtown Disney” area (I think it’s called Disney Springs now). 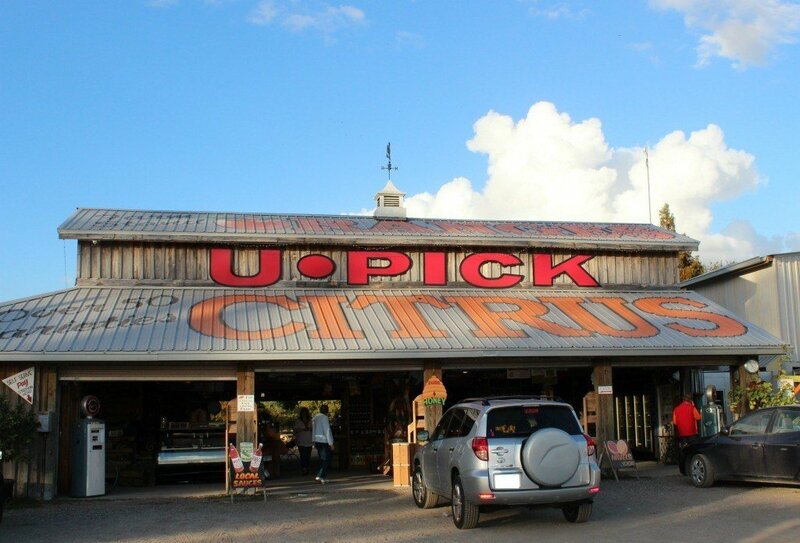 Looks like you found a few more roadside attractions, too! I personally loved our visit to Gatorland!